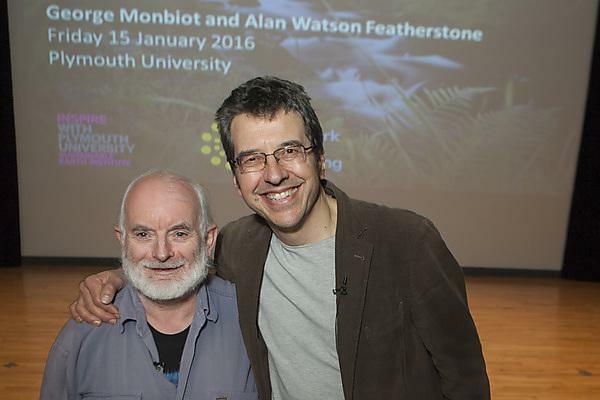 Author and journalist George Monbiot and Alan Watson Featherstone, founder and director of charity Trees for Life, were the keynote speakers at an event on Friday 15 January 2016. 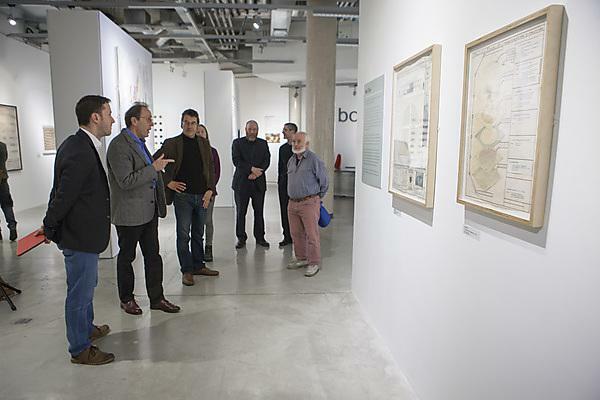 Hosted by the Network of Wellbeing and the Sustainable Earth Institute, the talk explored the social, ecological and wellbeing benefits of rewilding to habitats across the globe. Audience members had the chance to question not only Alan and George about their thoughts and experiences, but also the Director of the Network of Wellbeing, Roger Higman, and Plymouth University Professor of Physical Geography, Neil Roberts. The event was fully booked with over 400 people registered to attend the event which took place across two lecture theatres. For those who couldn't make it the videos are available below. George is the author of the bestselling books The Age of Consent: A Manifesto for a New World Order and Captive State: The Corporate Takeover of Britain, as well as the investigative travel books Poisoned Arrows, Amazon Watershed and No Man's Land. His latest book is Feral: Searching for Enchantment on the Frontiers of Rewilding (being published in paperback as Feral: Rewilding the Land, Sea and Human Life). See George Monbiot's Guardian profile or visit his website for more information. Alan is the Founder and Executive Director of Trees for Life, an award-winning conservation charity that has been working to restore the Caledonian Forest in the Highlands of Scotland since 1989, with overall responsibility for the charity and its strategic direction. His work includes a special focus on media and public relations, major donor fundraising and biodiversity research at Dundreggan Conservation Estate. Visit the Trees for Life website or read Alan's blog for more information. You can read the blog on the Sustainable Earth Institute blog site. Rewilding has been an emerging conservation phenomenon for around five decades, but its implementation within the UK is largely in its infancy. Rewilding includes large-scale conservation projects aimed at restoring and protecting core wilderness areas.